While adjusting the carbs after their rebuild I managed to pull the choke handle right out of its collar. 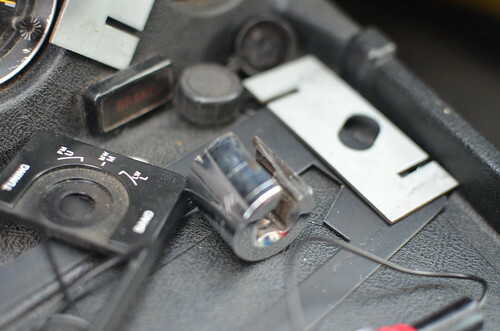 The new cable comes attached to the handle but this makes for a difficult replacement as the collar is held on by a nut sitting behind the dash. With very little room to spare and even less to get in a socket or spanner in there, I ended up having to cut a socket with an angle grinder so I could slip it over the cable and hand tighten it.